5.00 out of 5 based on 1 user ratings. The candy guru is AMAZING!! Always going above and beyond! The Candy Guru is a unique party vendor, specializing in one of a kind Candy Bars for all of your special events – Weddings, Engagement parties, Bridal Showers, and beyond! 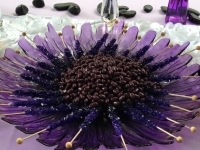 The Candy Guru works one on one with each and every client to create a color and theme specific candy buffet designed just for their event. 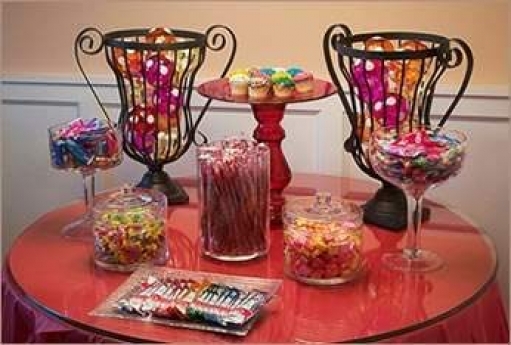 Glassware, take-home containers, candy and dessert table; all elements are provided for a flawless end to your already unforgettable event! Call us today to plan a sweet ending to your once in a lifetime event! The Candy Guru is about saving the best for last. Everyone loves candy and dessert so why not incorporate that into your special day, giving everyone a special treat on the way out, leaving a memorable and lasting impression. Tell us more about The Candy Guru and some of the history/inspiration behind the company. The Candy Guru is a company I started while I attended undergrad at NYIT. I was inspired to create my own business by seeing my father have his own business, and I wanting to do what I love. The Candy Guru is about saving the best for last. Everyone loves candy and dessert so why not incorporate that into your special day, giving everyone a special treat on the way out, leaving a memorable and lasting impression. What products and services do you provide for brides? I provide full event production for all weddings, but my focus and specialty is in candy and dessert buffets: unique and one of a kind for each wedding. We work with each specific client to create a candy/dessert bar that correlates with their wedding theme or color scheme. We do the full set up, break down, rental of glassware, take home containers, and labels created specifically for each wedding. What sets you apart and makes you unique among favor/candy buffet vendors? The Candy Guru is unique because we never do the same thing twice! We pride ourselves in giving each client the special treatment they deserve and making their candy bar unique! 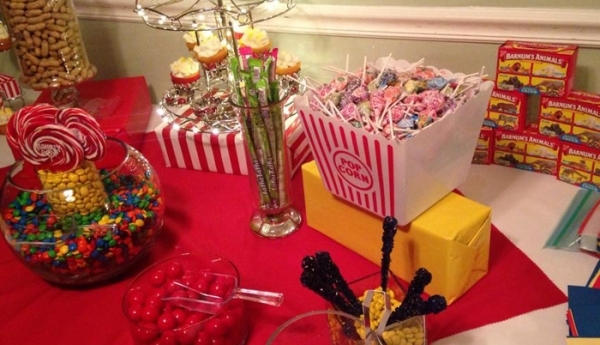 Tell us about what’s usually included in one of your candy buffets? We have color coordinated candy/dessert, fine glassware in all colors, table, tablecloth catered specifically to color scheme and them, take home containers/bags/boxes. We can also cater specifically to all types of diets, such as sugar free and kosher. Candy trees and candy table arrangements are something we do, as well!